Meeting Dates: september 2019 (preferably) or january 2020. 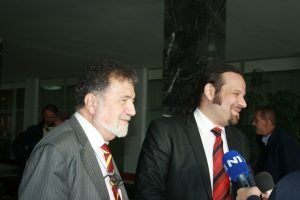 Dr Elvis Baraković, Assistant Professor (Faculty of Natural Sciences and Mathematics Tuzla and MC substitute of COST actions CA15117 and CA16104). 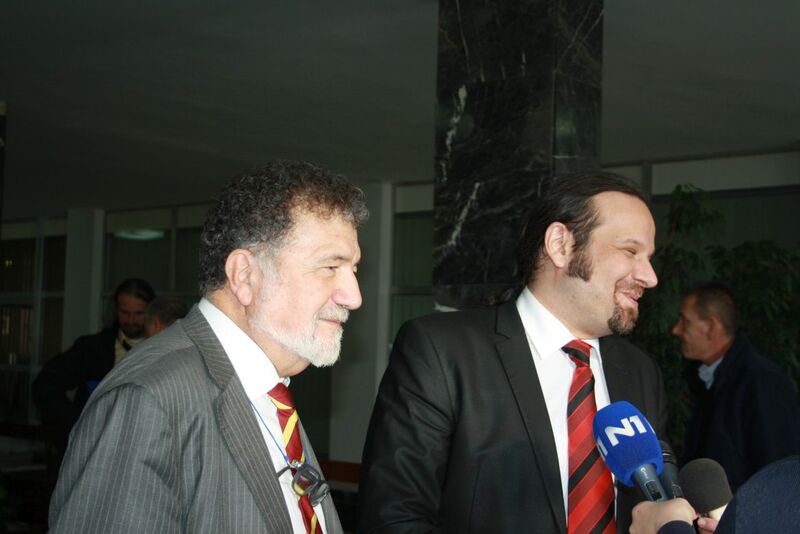 Tuzla recently site of major scientific presentation in the field of relativistic astrophysics, with Prof. Remo Ruffini, as an active member of ICRANet. Tuzla is an educational center and is home of the state University of Tuzla, a public university located in the city of Tuzla, Bosnia and Herzegovina, founded in 1976, with tradition going back to 1959. 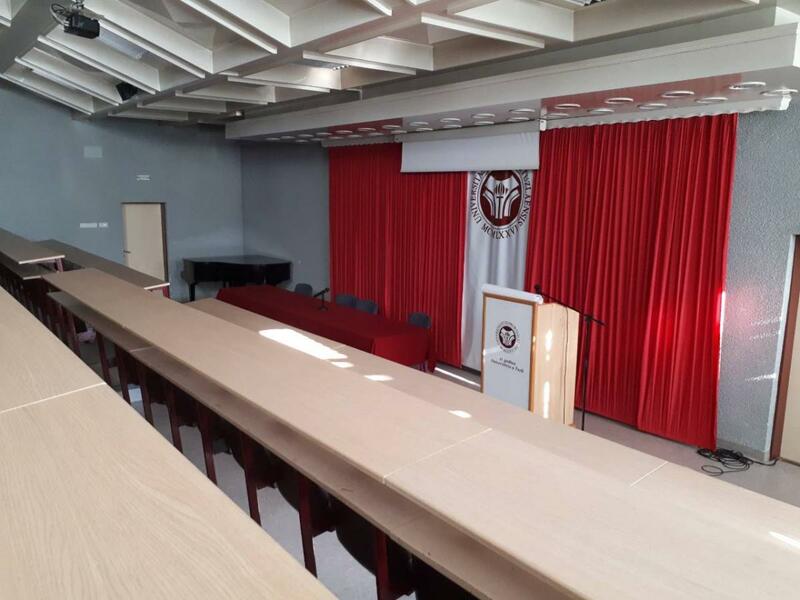 Today it is one of the major institutions of higher education in Bosnia and Herzegovina. The total number of enrolled students in all faculties and academies was over eleven thousand students in all cycles of study. The Faculty of Natural Sciences and Mathematics at the University of Tuzla was founded in 2002, but the studies in natural sciences and mathematics date back to 1993. Teaching and research at the Faculty is organised in five departments: Biology, Chemistry, Geography, Mathematics and Physics. The University of Tuzla has 13 faculties and is situated in the centre of the city, as are all the proposed sites for the meeting, which means there is a lot of choice for restaurants, relaxation and accommodation close to the venue. 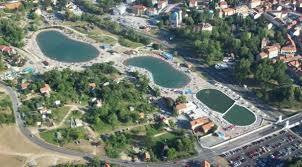 Tuzla has an international airport and very effective bus network. 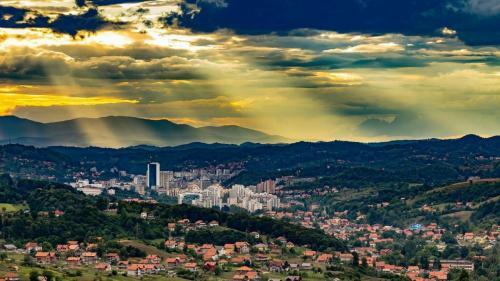 Tuzla is well connected by road to Sarajevo (118km, highway M18 toward Tuzla), Belgrade (208km via Bijeljina, Bosnia and Herzegovina) and Zagreb (336km by motorway E70/A3 towards Slavonski Brod). 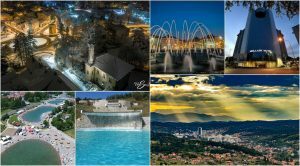 There are also frequent buses from all these cities to Tuzla, as well as from major cities in the region and central Europe. 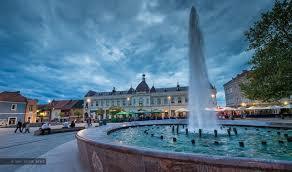 Getting around Tuzla is easy – either by walking or for longer distances using a taxi. 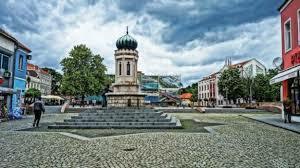 Taxi rates are amongst the cheapest in Bosnia, rides never cost more than 2.5EUR. Cologne, Dortmund, Eindhoven, Frankfurt Hahn, Friedrichshafen, Gothenburg Landvetter, Malmo, Memmingen/Munich West, Nuremberg, Stockholm Skavsta, Vaxjo and Vienna. 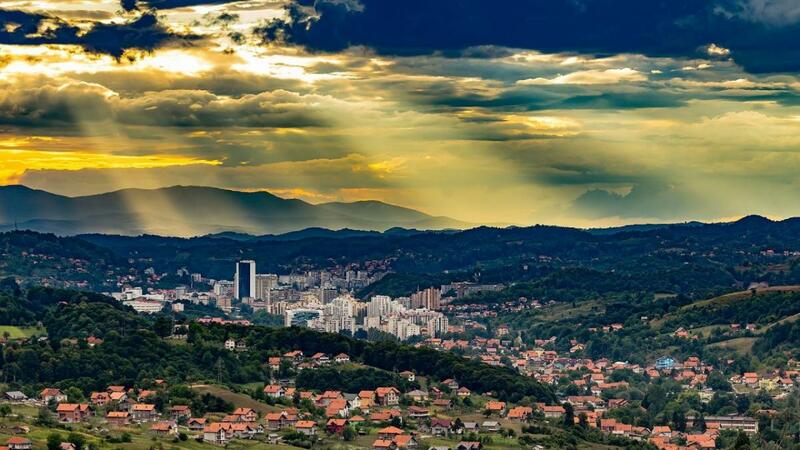 Tuzla is also very well connected to airports which have direct flights to major European cities, such as Sarajevo, Belgrade and Zagreb. 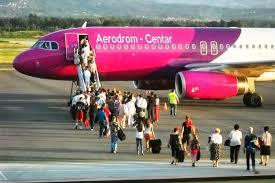 The distances of airports to Tuzla are: Sarajevo (2.5 hours drive), Belgrade (3 hours drive) and Zagreb (4 hours drive). Taxi transfer from all the major airports if very reasonably priced. Important note: If there are more participants traveling to the same airport on the same day, we will be prepared to organise direct transportation to Tuzla from such an airport. London-Tuzla in the process of opening. We recognize that the location of Tuzla could be a difficulty for some participants, however this is the case for most Eastern countries. Again, we stress our readiness to organise transport to Tuzla for participants from major surrounding airport which are very well connected to most if not all European destinations. HOTEL TUZLA : 1/1 room, (breakfast, insurance): 123 KM (63 €); 1/2 room, (breakfast, insurance): 186 KM (95 €); 1/1 room, old part of the hotel (breakfast, insurance): 53 KM (27 €); 1/2 room, old part of the hotel (breakfast, insurance): 86 KM (50 €). 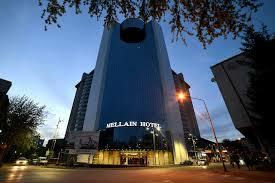 HOTEL MELLAIN : 1/1 room, 156 KM (80 €); 1/2 room, 186 KM (95 €); apartment for 2 persons, 235 KM (120 €). HOTEL MIRIS DUNJA : 1/1 room, 78 KM (40 €); 1/1 double bed, 88 KM (45 €); 1/2 room, 120 KM (61 €). 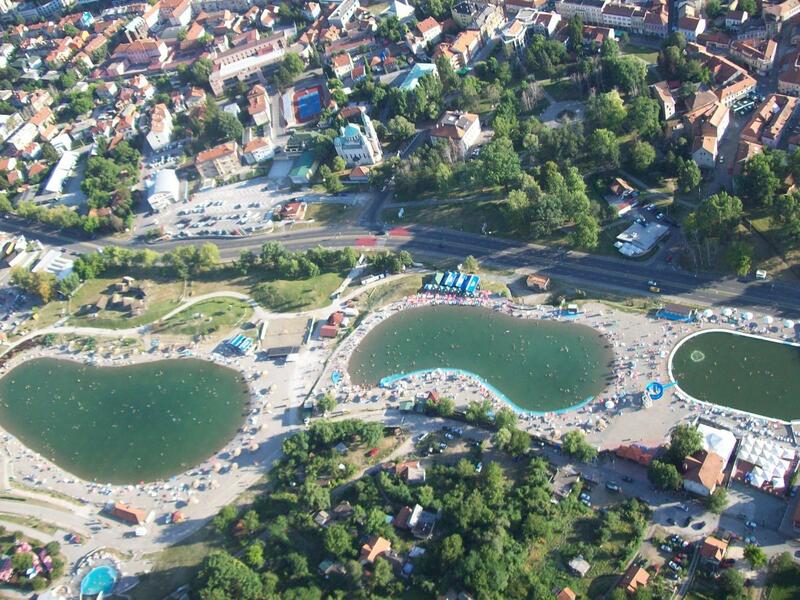 HOTEL TEHNOGRAD : 1/1 room, (breakfast, insurance): 53 KM (27 €); 1/2 room, (breakfast, insurance): 86 KM (44 €). 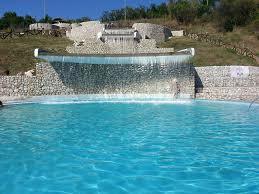 MOTEL ROYAL TUZLA : 1/1 room, (breakfast, insurance): 97 KM (49 €); 1/2 room, (breakfast, insurance): 147 KM (75 €). HOTEL HEARTLAND CITY : 1/1 room, double bed, (breakfast, insurance): 85 KM (43 €); 1/2 room, (breakfast, insurance): 135 KM (69 €). 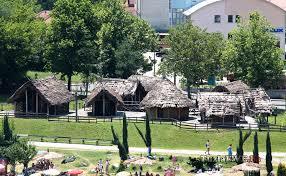 Low cost accommodation example: HOSTEL “Pansion”: 1/2 room: 40 KM (20 €); Apartment 50-60KM (25-30€). More information on accommodation here. 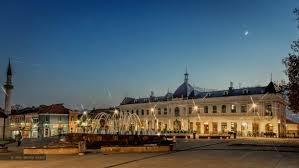 There are many cafes and night clubs in Tuzla. The cost of a coffee is 1KM-2.5KM, a beer will set you back 2KM-3.5KM, most juices cost 1.5-3KM, spirits 2KM-5KM etc. There are many restaurants in Tuzla and you can eat well and reasonably cheap in Tuzla – meals cost between 3KM-6KM for a portion of the famous čevapčići, or 5-20KM for a pizza, pasta, salad, barbecue or traditional Bosnian or international cuisine. 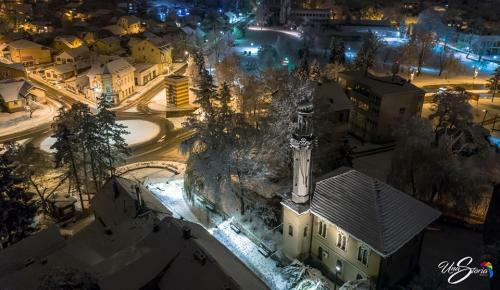 Some possible choices are Tuzla brewhouse, Royal restaurant, Zlatnik restaurant, Limenka čevapčići. Note on currency: The official currency of Bosnia and Herzegovina is the somewhat peculiarly named konvertibilna marka (short form ‘KM’), which is identical in value to the German Mark (DEM). The exchange rate is 1 EURO = 1.95583 KM. We propose to have a three-day meeting in September 2019 or January 2020. Train early-stage researchers in interdisciplinary topics, and prepare them for successful careers in research or (via acquisition of transferable skills) in the industry or education sectors. Developing and sharing knowledge on gravitational physics across the broad community. Establish new bridges between various European research institutions, building new interdisciplinary tools to inform our understanding of the GW Universe. Website. A website will be created not just for the purposes of registration, but also to explain what COST is and what the main project aims are. The example is our very active semi-portal like website, that is very well visited. Social media. Facebook page of our Faculty and our Twitter feed will be used. A separate Facebook page and event for the meeting will be created. A pre- and post-meeting video will be prepared and uploaded to Youtube. Outreach. Significant outreach to the scientific communities in Bosnia and Herzegovina, the Western Balkans, Europe and beyond will be prepared, especially with respect to of our many partner institutions. We have collaboration treaties signed with dozens of institution which will all be notified. The departments of all the regional universities will be invited (Sarajevo, Banja Luka, Zenica, Mostar, Belgrade, Zagreb, Ljubljana, Skopje, Osijek, etc). Print/TV/Radio. We have very well established links with many television and print media outlets. These are, for example the Bosnian state television FTV, N1 television, which is an affiliate of CNN in the Balkans, Federal radio, Al Jazeera, Croatian state television, etc. When we call a press conference, media shows up. We are very active in promoting science in the region and beyond and if awarded the hosting of this meeting we promise to be the central news for that day. Policy makers and national authority participation. For example, in our recent organised event, the visit of Prof. Ruffini, we had the Mayor, the Minister of Education and the Italian ambassador present. We find it very important to include the people from legislature and executive branch in our plans and activities as we aim to increase the level of spending in science in our society. 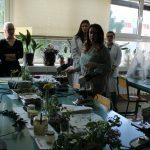 This meeting in Tuzla would go a long way to show that serious science is happening locally and put pressure and give incentive to the policy makers, legislators as well as executive branch to increase spending and support for science. There are not many institutions that can get national and international media to talk about gamma-ray bursts and relativistic astrophysics, as well as get politicians and legislators to listen about it. 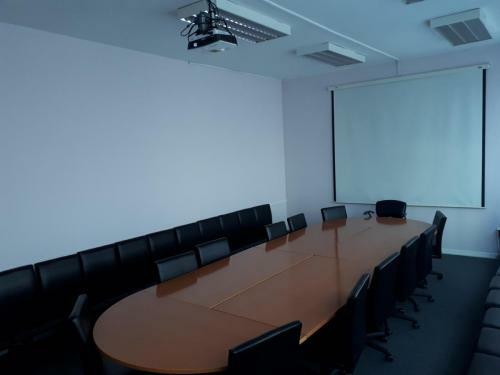 The fact that COST does not pay VAT was discussed with the Director for economic affairs of the University of Tuzla and full support was given for these activities and the entire experienced apparatus of the economic department of our University administration will be at our disposal. We have had many Erasmus, Tempus and FP7 projects and have institutional experience in these matters, so that the issue of the VAT will not come into question. The LOS payment option we propose is Reimbursement Modality 1, which is also the more economical version offered. 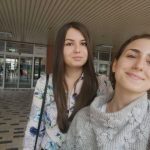 All the participants can enjoy all the capcities of the University of Tuzla and the Faculty of Natural Sciences and Mathematics, i.e. 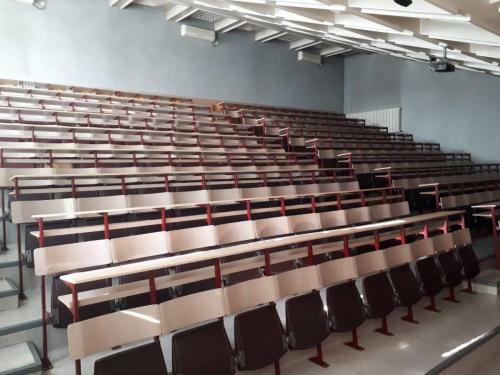 lecture halls, technical equipment required, printing of materials for the working groups, core group and MC, photocopying services, free WiFi in all areas, coffee breaks, as well as organising a joint networking dinner in a traditional Bosnian restaurant or establishment. As an institution and as an organising committee, we easily exceed the target od 20% of female scientists stated in the MoU. Our Faculty has an exemplary gender balance, with over 56% female academic staff, with most management positions held by female academics. All of the members of the organising committee are ECI's, apart from Dr Pasic. 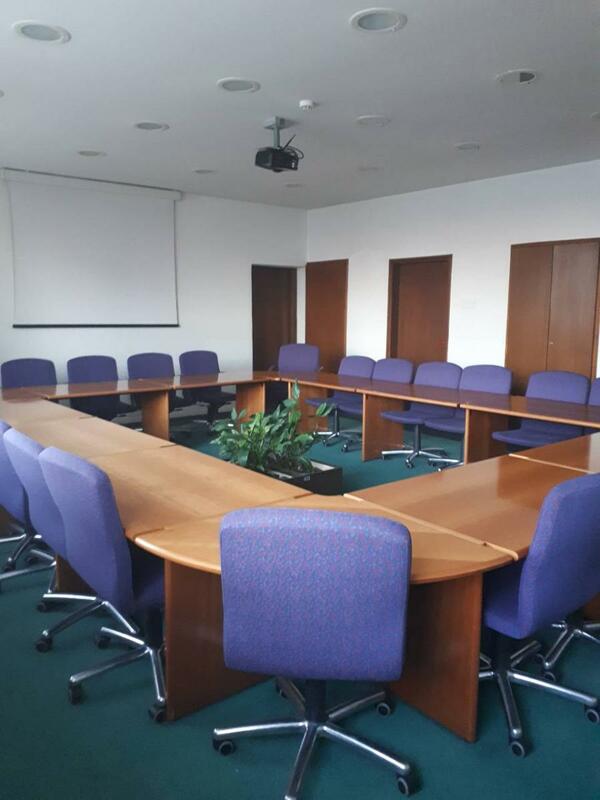 The majority of the staff (over 60%) of the Faculty of Natural Sciences and Mathematics in Tuzla are ECI's. We truly believe that we can serve as an example to most science faculties in the world in both these respects. 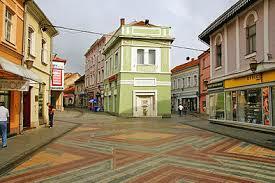 Tuzla is a city in Bosnia and Herzegovina, with an estimated population of 175.000. Tuzla is the seat of the Tuzla Canton and is the centre of a metropolitan area of around 500.000 inhabitants. 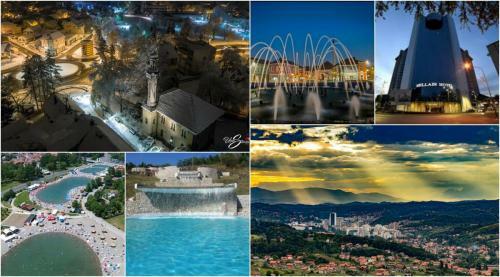 Tuzla is famous for its openness and the liberal outlook to life of its inhabitants. The city's population is highly multiethnic and multicultural. The question of security still gets brought up quite often. 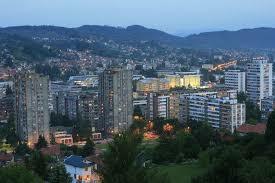 Tuzla is a very safe city with a very low crime rate, especially compared to the rest of Europe. We still recommend the usual precautions you would take in any other city in Europe. Tuzla is the only city in Europe that has a salt lake at its centre. The ancient Pannonian sea dried up around 10 million years ago, but work by researchers and scientists has now enabled a level of saline water to be kept stable at the surface, and in 2003 the Pannonian Lake was opened. In recent years much effort has been put into the revitalization of Tuzla. 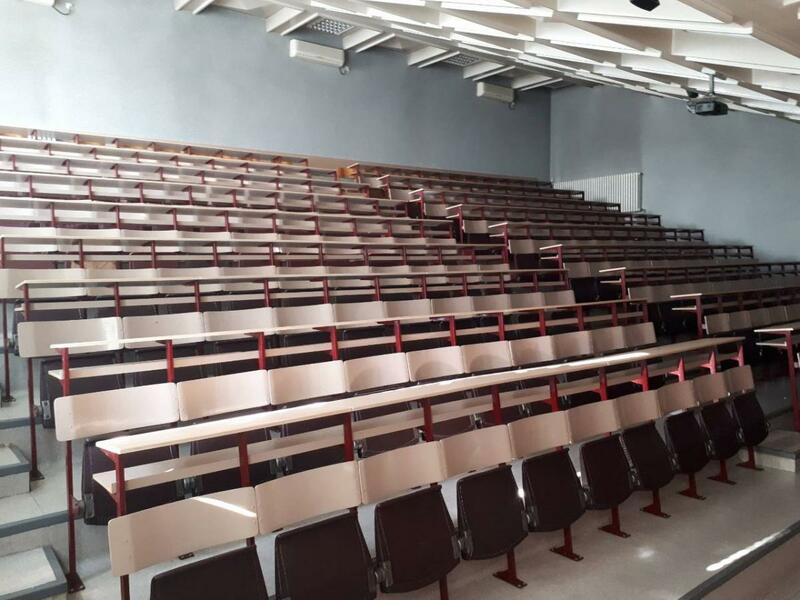 Tuzla is not “better” than any other proposed location because of the amount of academic excellence, the amount of academic staff nor the infrastructure at our disposal. It is the place to choose to hold this meeting exactly because it is, on the surface at least, not the obvious choice. Choosing Tuzla will go towards one of the main goals of COST – increasing the geographical spread, by holding a meeting in a less research-intensive COST Member State and give support to the very large amount of work we have invested and continue to invest into creating a school of research in this area. We are still at an early stage of achieving this goal, but with the help of COST and GWverse, we truly and honestly believe this goal can be achieved in the relative short term. 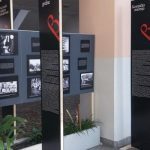 At the same time, considering its geographical and geopolitical location, Tuzla is very well positioned and can present a very good chance for most academics involved in GWverse to visit and get acquainted with scientists from a country they might not have visited much in the past. Tuzla and Bosnia as a whole are experiencing growth in all aspects and we, as a group working towards developing higher education and strengthening the level and intensiveness of academic research in the country, strongly believe that this goal can best be achieved more quickly through support from our fellow colleagues in the more developed parts of the world. 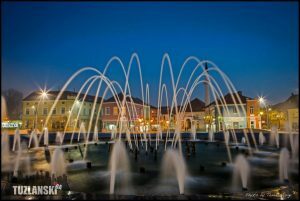 Tuzla is a nice city and Bosnia are a beautiful land, that most people however unfortunately associate with conflict and war. Not many places look like this however. We hope to be able to positively surprise You.